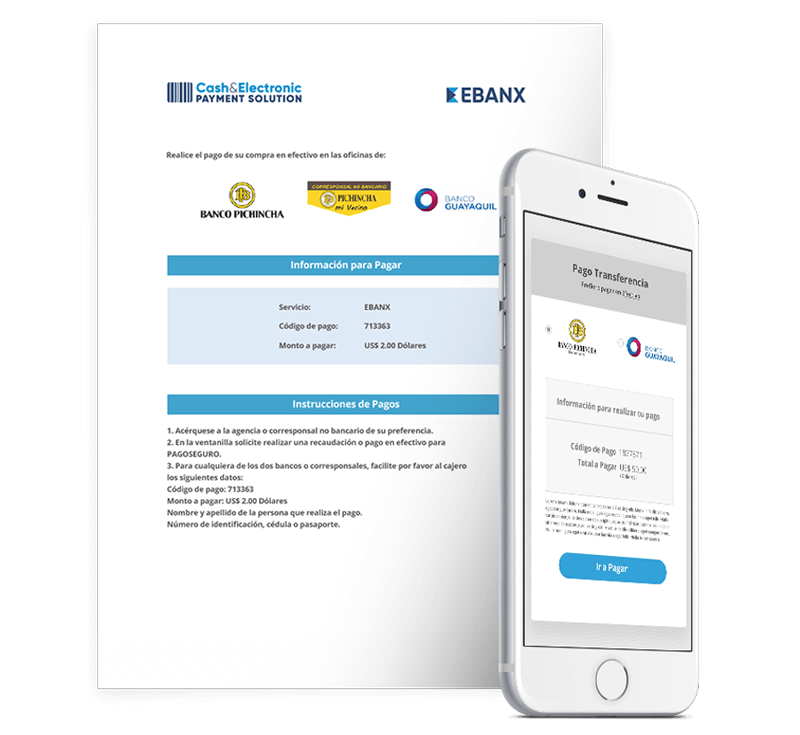 With EBANX solution your customer receives a referral number that can be paid through online banking of the main banks in Ecuador or in cash in one of the 22 thousand establishments where it is accepted. With Online Transfer and Voucher Payment you are offering a secure way to your customer to shop online. Increase your sales by gaining their trust and accepting real-time payment solutions. The customer chooses to pay with our solution and a reference number is created to make the payment. 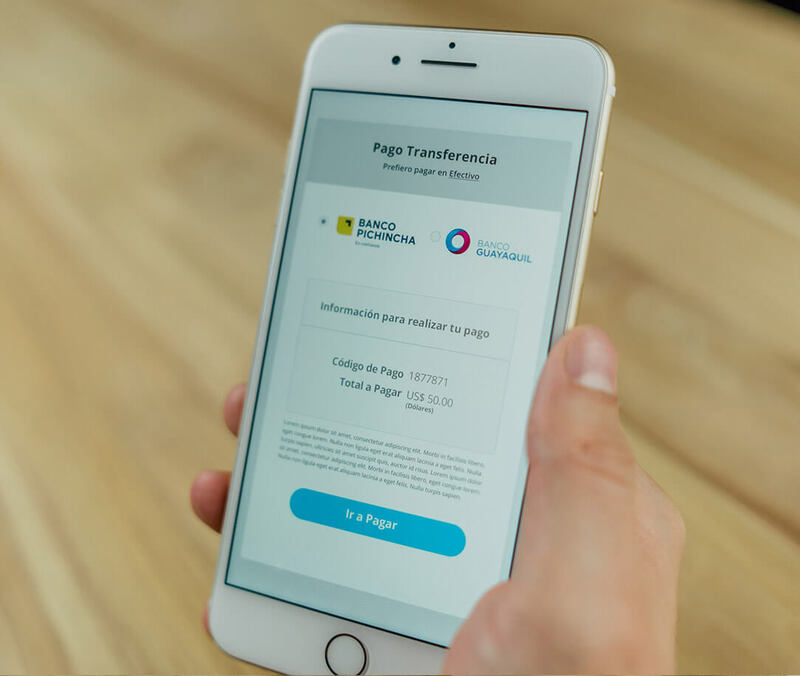 If the customer chooses to pay via bank transfer, he will be redirected to his online bank, and have within 2 hours to make his payment. If the client chooses to pay the reference number in cash, he can do it within 72 hours in more than 22 thousands establishments where it's accepted. 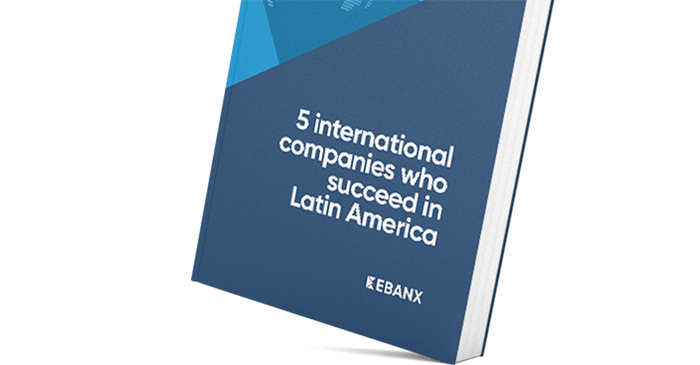 Ready to start selling in Ecuador with local payment methods? Latin Americans are used to pay using voucher for their online shopping. Boleto in Brazil or OXXO in Mexico are examples of that.